Venus in Pisces – This planet is linked to the feminine side, luxury and beauty. Venus indicates the way we look and dress. Also how we are in our love relationships, so that is why it is important to know its positioning in your birth chart. Now, let’s learn about Venus in Pisces. Neptune is the ruler of Pisces and water is its element (just as Cancer and Scorpio). This combination is soft and a bit dangerous for anyone who has Venus in Pisces. It is because the nature of Pisces is very beautiful. It is a romantic, dreamy and smooth sign. One who possesses deep feelings and gives itself completely in a relationship. They are gentle and kind beings that present you with a colorful world where you no longer want to leave. Speaking like that, they even look great, right? The problem is that because of this Venus blindly believing in love, they end up losing themselves. These people tend to not see the reality of people of bad character. Of the people who just want to take advantage of the others. Or those who do everything wrong and keep apologizing, leaning on the soft heart of this Venus. It is very common for these people to live abusive relationships without realizing it. And no use advising. They will always believe that the partner deserves a second chance and that love will win everything. One must be very careful to balance such emotion without reason. If the individual has Sun, Rising Sign or the Moon in some sign of air or earth, will benefit from more discernment. 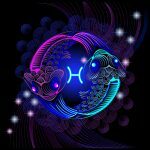 This side is bad for those who have Venus in Pisces and also for the partner. Because the relationship may be unsatisfactory for both, but they will engage them with their irresistible tentacles. They will make the other believe that there is still solution even where there is none. The seductive power of this Venus lies in the subtlety, in the gaze, and in the soft talk that conquer anyone. The way they dress also tends to be delicate. They are not drawn to extravagances and very strong colors. But they can be enchanted by people who are similar to them or even those who have a greater aura of power. This Venus likes to be protected and vulnerable as a fairy-tale princess. At the time of winning someone, they go slowly because they fear being hurt. They are terrified of rejection and may end up losing some of their personality in an attempt to please the other. They do not know how to say “no” even when it goes totally against what they think or feel. The sexuality of this Venus is deep and they can be very sensual, despite the most delicate appearance. They can dose well the animal side and the sweet side. It is as if they were wearing veils and were taking off and putting on the right moment. It is very easy to fall in love with someone who has Venus in Pisces. They love to show affection and are very concerned about their partner’s well-being. More than that, they can understand if something is wrong even before the person in question notices. Another quality of them is that they are very creative. You will not have a tedious experience with them, surely it will always be full of fantasies. Overall, they are very nice people who think hard about their partner’s well-being. They are ethical and even if they are not very attached and emotionally involved with you, they will treat you with respect. It does not matter if you are just a friend, a flirt or a girlfriend in a 5 year old relationship (by the way this would be incredible for them). Venus in Aquarius believes that everyone deserves the same kind of treatment.